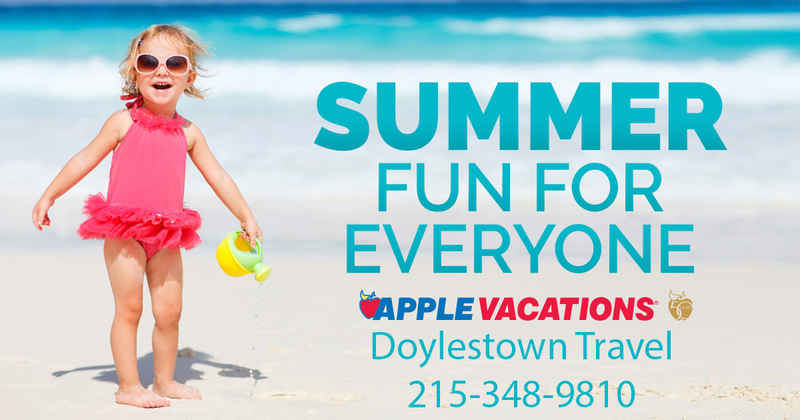 Summer Fun for Everyone Doylestown Travel #1 Deals of the Summer. Apple Vacations starts Summer Sale this weekend ! 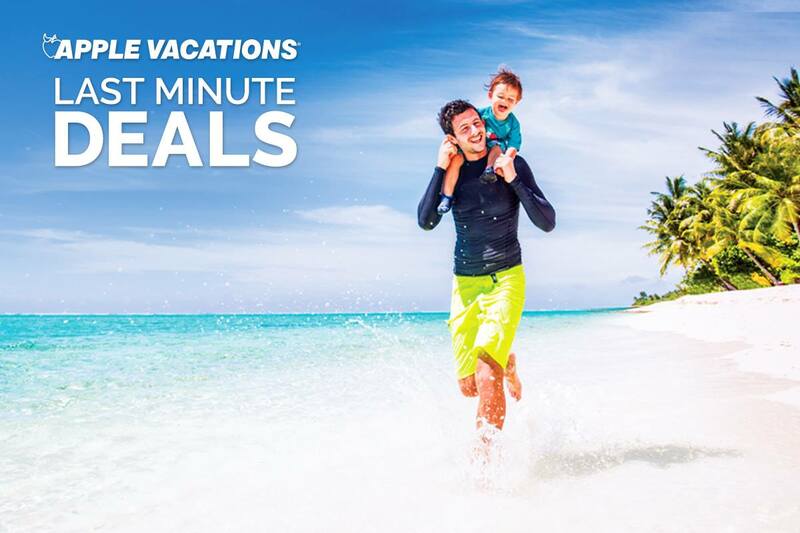 Apple Vacations is having their Summer Fun for Everyone sale right now! Book your favorite resort and kids stay free! Check out all the deals by clicking here and see what we have to offer. Doylestown Travel can help you with all of your travel needs. Hurry- book by May 2, 2019! For each new booking with any of the travel companies we work with Doylestown Travel will donate $100 to Miracle Ride. It’s that simple. Happy to help anyone in the USA under 50 degree temperatures! You get a bonus saving. Stay in touch with Doylestown Travel! Since 1985 the friends and family program has delivered discounts on every single trip we book. Join the travel revolution!